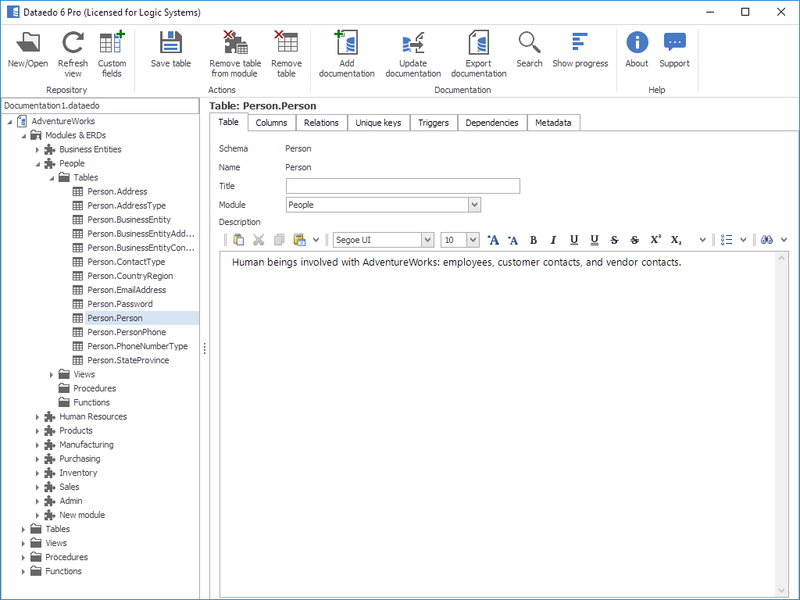 Dataedo imports stored procedures and functions from a database you document. While importing schema Dataedo reads descriptions and comments added in DBMS. 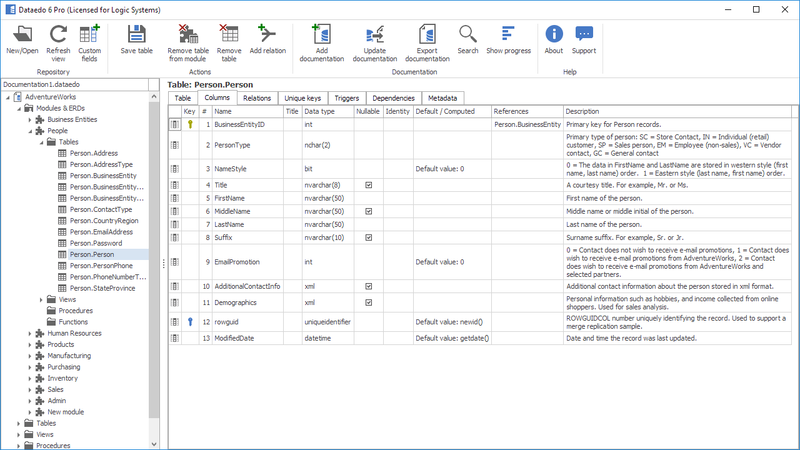 You can then edit those descriptions in Dataedo repository using Dataedo Editor. Those descriptions will not be saved to original documented database. Read more about importing descriptions. When you imported your database schema you are ready to complete documenting tables and views. To write a table or view description select it in tree navigator and go to Table/View tab in the editor in the right pane of the interface. Enter or update text inside the editor. After the edit is done you need to save changes. Saving includes all changes of an entire object on all tabs. Learn more about working with editor. Icon - Icon of a column. Column deleted in the database is represented by an icon. PK - Indicator if a column is part of primary key - icon. # - Column position in a table (imported from the database). Title (editable) - Optional column title defined by user only in Dataedo repository (learn more about titles). Data type - Column data type defined in the database. Nullable - Indicator whether a column is defined as nullable or not. is visible for nullable columns. Description (editable) - Column description entered by user (or imported from database). To describe column edit text in the description and optionally title fields (learn more about titles). After the edit is done you need to save changes. Saving includes all changes of entire an object on all tabs. Learn more about working working with editor.